[4 min. 30 sec.] 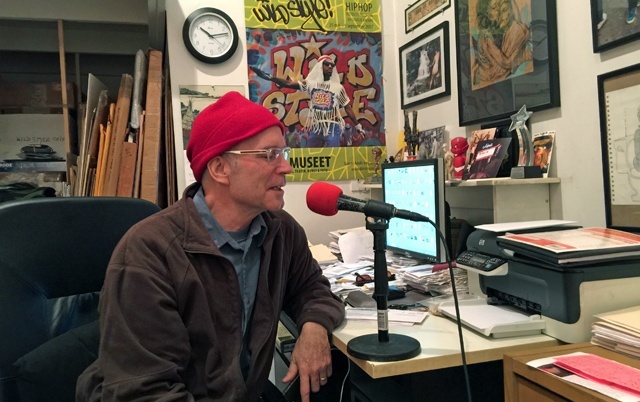 Charlie Ahearn ("Jamel Shabazz Street Photographer") returns to the podcast after several years. He was last seen from back on Episode 45. This coming weekend, March 11th — 13th, Anthology Film Archives will be doing a mini retrospective of Ahearn's work as part of their series Re-Visions American Experimental Film 1975-90, both past & present. On Friday evening they will screen his seminal film "The Deadly Art of Survival" (1979) which led Ahearn to make his follow up "Wild Style" (not shown). Saturday will include vintage 16mm works that even Charlie hasn't seen in ages. And finally on Sunday, the program will include Ahearn's 90's works including "Doin' Time in Time Square" & "Jane in Peepland". Visit the Anthology's calendar for complete details. Charlie will be there throughout the weekend to chat with audiences and introduce the films. [43 min. 13 sec.] After that, the podcast welcomes one half of the filmmaking team behind the new documentary, "Here Come The Videofreex", director Jon Nealon (absent is Jenny Raskin). Joining Jon for the segment is one of the original members of the collective, Skip Blumberg. The story starts in 1969 when young CBS executive Don West creates a secret project to tell the stories of the counterculture ignored by TV news. He hires a group of young people who have embraced a brand new medium – video. They name themselves the Videofreex and on CBS’s dime, they travel the country in an RV taping footage the networks could never get, including interviews with legendary activist Abbie Hoffman and Black Panther Fred Hampton just months before his murder. The film will have its theatrical premiere at the IFC Center in NYC beginning Wednesday, March 9th. To find out the complete list of screenings, visit the film's website. To see more of the Videofreex' archive visit here. This episode is sponsored by Saturday Night Movie Sleepovers, a bi-weekly podcast which includes conversations between friends J. Blake & Dion about their favorite movies from the past.